Brownie and I are both worn out after this weekend. 1. In my last post, I talked about the makeup I was planning on wearing for a family party where I was pretty sure I'd be sweating like nobody's business. Well, as it turned out, it was a lot cooler here on Long Island on Saturday than I was expecting. But I actually wound up going in the pool so my makeup did get a pretty good workout. MUFE Face & Body Foundation is actually pretty waterproof... or water-resistant - not exactly sure what the difference is. I went with the MUFE Face & Body, whose claims of being waterpoof I've been pretty skeptical of ... I'm a good sport, so I can admit when I'm wrong - the foundation pretty much stayed on even after a good hour in the pool. I definitely recommend it for a long lasting, light coverage, especially in the summer. My waterpoof mascara, on the other hand, totally smudged, so that was a bummer. 2. I was finally able to pick up The Balm's Down Boy Blush from the Haute Look sale last week. I can't wait to get it! I also picked up a mascara and a liquid liner from the Balm (along with something for an upcoming giveaway! ), so it'll be fun to play around when I get my stuff. 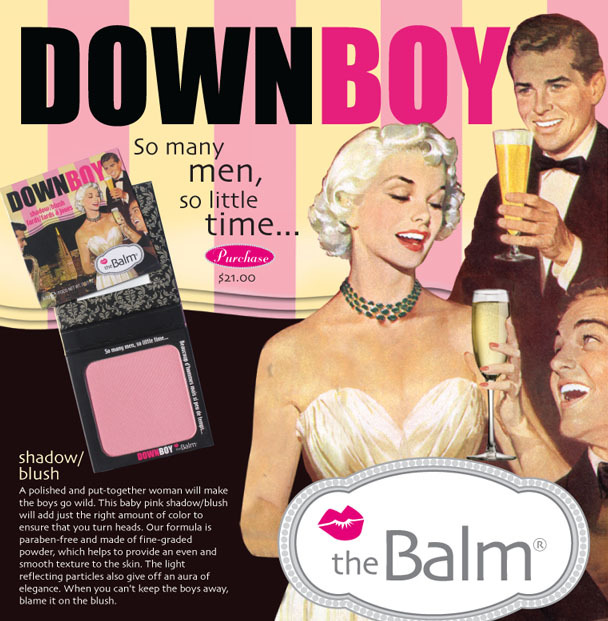 I cannot wait to get my hot little hands on this blush! I've wanted it forever. 3. 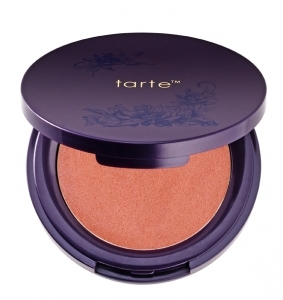 I am due to get the latest installment of the Tarte Miracle of Maracuja A/D TSV from QVC this week. According to the tracking info, it should be here tomorrow, so I may be able to get a post up about it tomorrow. I'm really excited to get new shades of the Airblush Maracuja Blush and the Beauty & the Box Amazonian Clay Eye Shadow Quad. You can get both products on Tarte's website, so if you missed out on the TSV and like them after you see pics, you can still pick them up. 4. Later this week, I'm finally going to be doing another giveaway. I'm thinking it'll probably go up Thursday, so keep an eye out. I actually have several good ones planned so it may be a monthly thing for the next few months - I hope you all enter because the items I'm giving away are some of my favorite things (just like Oprah!) and I'm really excited to share them. 5. I got a new computer at the end of last week, and while I absolutely love it, I'm still in the process of getting familiar with it. I apologize in advance for any technical difficulties that may arise during the learning curve. Any new makeup developments in your life? 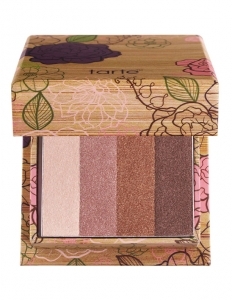 Ohh the tarte eyeshadows and blush are GORGEOUS!! Jealous! !